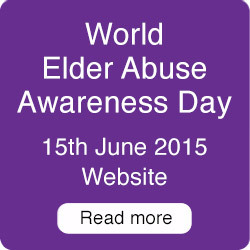 Financial abuse is the most prevalent form of abuse of older people seen by Seniors Rights Victoria. Its most common form is financial loss arising from the disposal of an older person’s assets in exchange for their future care and accommodation, often under pressure from another party. The main perpetrators of abuse are adult children. Given that assets are largely managed privately, it is not surprising that financial abuse of older people generally occurs within families nor that the most common form of financial abuse is where a relationship of trust has broken down because an arrangement to exchange assets for care and accommodation has become exploitative. 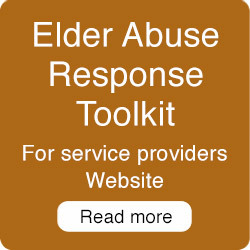 Seniors Rights Victoria most often sees clients after abuse has occurred, when the older person is left without adequate resources for their retirement and with broken relationships. Untangling the arrangements between the parties can be made more difficult because the emotional upset involved often occurs in conjunction with serious health issues. Obtaining legal redress in these situations can be complex. Lawyers have a special role in the prevention of financial abuse of older people. As a lawyer, you can assist older people to protect themselves against current and future abuse and you can also be alert to the potentially abusive nature of transactions that other family members may ask you to assist with. The Resources section of this site includes a list of agencies to which you can refer clients who need additional non-legal advice and support. Seniors Rights Victoria gratefully acknowledges the funding received from the Legal Services Board (LSB) to produce this guide for lawyers, a separate guide for the community, and a research and policy paper aimed at law reform. Jenny Blakey, Dr Irene Bouzo, David Davis, Belinda Evans, Dr Susan Feldman, Sandra McCullough, Galina Kozoolin, Mary Milsom. Dr Dale Bagshaw, Susan Barkehall-Thomas, Bae Bastian, Tom Cowen, Angela Cursio, Kathy Day, Joe Edmonds, Jeff Fiedler, Phil Grano OAM, Stephen Hardy, Bill O’Shea, Marlena Pitrone, Diane Tate, Celia Tickerton, The Hon. Justice P Vickery, The Hon. FHR Vincent AO QC, Richard Wilson. Lynne Barratt, Angela Cursio, Peter Gauld, Phil Grano OAM, Kaitlyn Guille, Stephen Hardy, Heather Hibberd, Dr Helen Kimberley, Dr Georgina Lowndes, Claire McNamara, Robyn Mills, Paul Radlow, Linda Rubenstein, Rosemarie Ryan, Cara O’Shannassy, Bill O’Shea, Jennie Pakula, Carol Stuart and Springvale Monash Legal Service Inc., The Hon FHR Vincent AO QC, Robert Wood, Helena Xenidis. Brian Herd for providing the ‘Jean’ case study and the Sample Family Agreement. Peter Gauld, Principal of Gauld and Co. for providing most of the family agreement checklist. Liz Samra, Seniors Rights Victoria, Principal Solicitor. Jackie Jenkins, Seniors Rights Victoria, Communications Project Officer.